We're delighted to announce that Sarah Goodes has been appointed MTC Associate Artistic Director. After directing the nationally successful premiere production of Switzerland by Joanna Murray-Smith at both STC and MTC, Goodes joined the Company as Associate Director in 2017. Since then she has directed five productions for MTC, attracting an audience of over 80,000 and multiple awards and nominations. Her acclaimed work has included the Australian premiere productions of John by Annie Baker, A Doll’s House, Part 2 by Lucas Hnath and the three-time Helpmann Award-winning production of The Children by Lucy Kirkwood, for which she took out the coveted Best Direction of a Play and Best Play awards in 2018. As Associate Artistic Director, Goodes will increase her involvement in the artistic and business development of MTC, and continue to direct productions for Company’s annual seasons. Goodes is currently in rehearsals for the world premiere of Arbus & West, which opens on Thursday 28 February. Later this year she will direct Così and Golden Shield, the first play to be produced through MTC’s NEXT STAGE program. Sarah Goodes is an award-winning theatre director recognised for bringing over 14 new Australian works to the mainstage. She has worked with many of Australia’s leading actors including Helen Morse, Pamela Rabe, Sarah Pierse, Jacqueline MacKenzie, Marta Dusseldorp, Mark Leonard Winter, John Gaden, William Zappa and Catherine McClements; and Australia’s major theatre companies. She was Resident Director at Sydney Theatre Company from 2013 to 2016 and is currently Associate Artistic Director at Melbourne Theatre Company. In 2018, Sarah won the Helpmann Award for Best Direction of a Play for her work on Lucy Kirkwood’s The Children which opened at Melbourne Theatre Company and transferred to Sydney Theatre Company. The Children won 3 Helpmann Awards – Best Direction of a Play, Best Play and Pamela Rabe won Best Female Actor. Sarah Pierse also received a Helpmann Award nomination for Best Female Actor for her performance in The Children. Sarah directed the award-winning production of the world premiere of Joanna Murray Smith’s Switzerland for Sydney Theatre Company which toured to Melbourne Theatre Company the following year. She received Best Director nominations for both the Helpmann and Sydney Theatre Awards for her work on Switzerland, a production which was nominated for 3 Helpmann Awards and 6 Sydney Theatre Awards. Her production of The Hanging was nominated for Best Mainstage Production at the Sydney Theatre Awards. 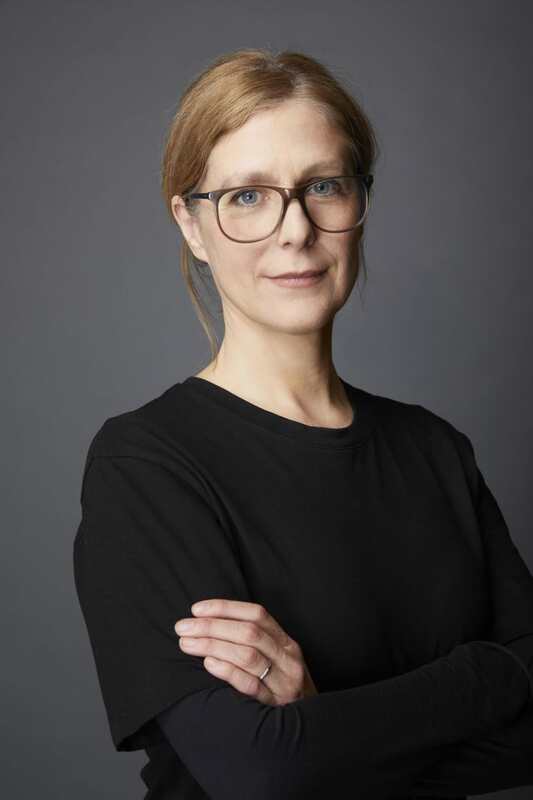 In addition to The Children, in 2018, Sarah directed the acclaimed world premiere of Alana Valentine's The Sugar House for Belvoir Theatre; the Australian premiere of Lucas Hnath's A Doll's House, Part 2 starring Marta Dusseldorp and Albert Beltz's Astroman for Melbourne Theatre Company. Other productions Sarah has directed for Melbourne Theatre Company include the Helpmann Award nominated production of John by Annie Baker and the world premiere of Joanna Murray Smith’s Three Little Words. Sarah’s productions for Sydney Theatre Company include: the Australian premiere of The Children by Lucy Kirkwood (with Melbourne Theatre Company); the world premiere of The Hanging by Angela Betzien; the Australian premiere of Disgraced by Ayad Aktar; Orlando by Sarah Ruhl starring Jacqueline MacKenzie; Battle of Waterloo by Kylie Coolwell; the Australian premiere of The Effect by Lucy Prebble (with Queensland Theatre); the world premiere of Switzerland by Joanna Murray Smith; Vere by John Doyle (with State Theatre Company of South Australia); the world premiere of The Splinter by Hilary Bell; and Edward Gant's Amazing Feats of Loneliness by Anthony Neilson (with La Boite). Other directing for theatre includes: for Belvoir, The Sweetest Thing by Verity Laughton, The Small Things by Enda Walsh, Black Milk by Vassily Sigarev, Elling by Axel Hellsteius and The Italian American Reconciliation by John Patrick Shanley; for the Old Fitz Theatre, The Schelling Point by Ron Elisha, Vertigo and the Virginia by Sven Svenson, Hilt by Jane Bodie, What Happened Was… by Tom Noonan; for Darlinghurst Theatre, The Unscrupulous Murderer Hasse Karlson Reveals the Gruesome Truth About the Woman Who Froze to Death on the Bridge by Henning Mankell; for NIDA, Scorched; and for Sydney Opera House, The Colour of Panic by Nicholas Hope. Sarah is a graduate of both the University of New South Wales with majors in Literature and Theatre (final year at San Diego at UCSD where she performed with San Diego Rep) and the Victorian College of the Arts (University of Melbourne) in Directing. Sarah has taught and directed at the Australian Theatre for Young People and the National Institute of Dramatic Art. In 2019, for Melbourne Theatre Company, Sarah directs Arbus & West, Golden Shield, and Così (with Sydney Theatre Company).